Bitcoin, Ethereum, Ripple, Bitcoin Cash, Dogecoin, Litecoin—the list of cryptocurrency coins is endless, and new technologies are emerging daily. 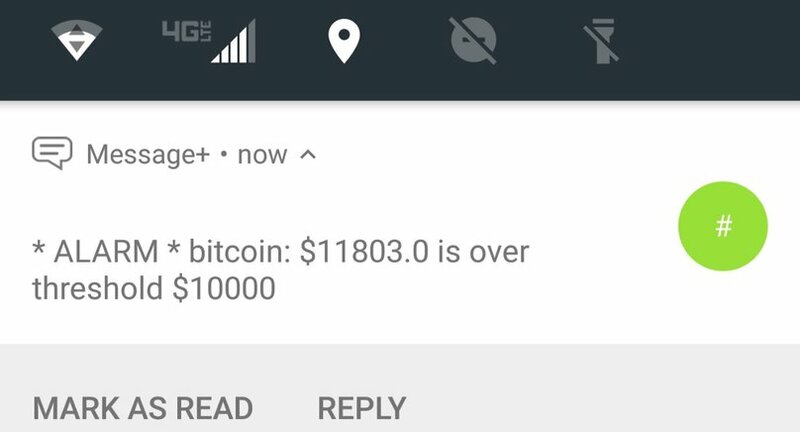 In this tutorial, we are going to create an app that sends SMS text messages whenever a cryptocurrency’s market value crosses a price threshold. Cryptocurrency investors can sit back, let the market do its thing, and wait for opportunities instead of compulsively checking the markets!